This entry was posted in The Writing Habit, Writing Advice, Writing Process and tagged author advice, Making Time, Writing Advice, Writing Habits. Bookmark the permalink. Suddenly, I feel like donning a pair of Nikes to sit down and write 🙂 I like the footprints in the sand also – a reminder to keep moving forward, as well as looking back to see how far you have come on your journey. Well done Robyn, thank you! Sometimes we sprint, sometimes we plod, right? Forward ho! 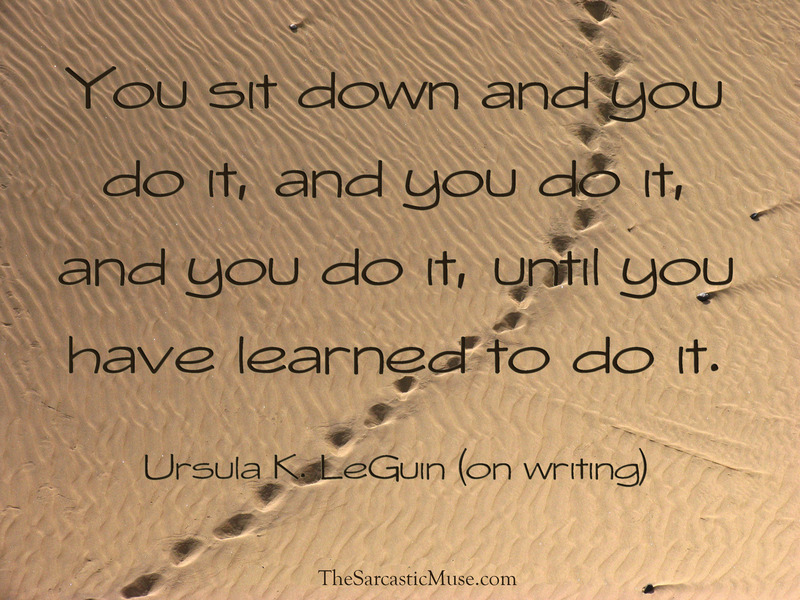 Maybe Nike got their slogan from Ursula K. LeGuin: JUST DO IT!